Ecosia is an Internet search engine that donates more than 80% of its income to non-profit conservation and reforestation organizations. The remaining 20% is stored as a back up, which is eventually regenerated back into the companies tree planting fund. The first theoretical seed was planted when the company started in Germany, back in 2009. During the first year, the company started aiming its funds to protect the Juruena National Park, the third largest national park in Brazil. As the company grew, so did the support they were able to give, stretching to now 16 different locations! The way the corporation works, is that each time you use their search engine for your own exploring, advertisements generate income for Ecosia, which is then used to plant trees all over the globe. With over 7 million active users, Ecosia has racked up over an astonishing €9,000,000 which has been invested into planting 53,395,132 trees! Now thats a lot of numbers - and they just keep getting higher. Trusting Ecosia is as plain sailing as our cruises. They publicize their financial reports on their own site, so you can see exactly where all of your contributive efforts go at the end of every month! Not only do they inspire change, educate and have full financial transparency, they are also committed to being a privacy friendly search engine. This eco-friendly company are making a huge difference with projects currently underway in: Peru, Nicaragua, Colombia, Haiti, Brazil, Morocco, Spain, Senegal, Burkina Faso, Ghana, Madagascar, Uganda, Tanzania, Ethiopia, Kenya and Indonesia. A selection of which are precious locations, available for you to explore, thanks to us! 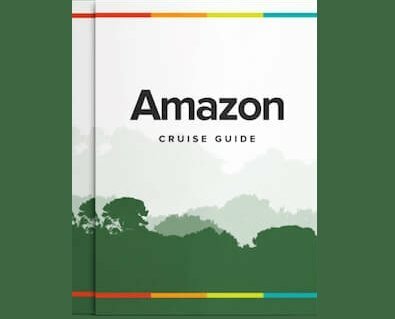 Through their efforts they are helping to keep the Peruvian Amazon and other beautiful destinations of our wonderful cruises and land tours alive and thriving! If, like us, you are passionate about wildlife conservation, you can choose to support Ecosia further by purchasing their merchandise. Every item is made from certified organic cotton and is available to be shipped worldwide! You can find any information about Ecosia at their very own web page. Adding the Ecosia web browser extension is simple, quick and rewarding. With plug-ins for Safari, Chrome and even mobile formatting, it is the smallest way you can help to make a big difference in global wildlife conservation! If this blog doesn’t have you clicking and installing already, just take a look here to see the change that has already been made. Remember, you could be a part of it. Longing for a Closer Look at the Land? If rainforest and wildlife conservation is important to you, we would recommend a trip to see the outstanding destinations first hand. Contact our team today to travel with us to protected sights across South America. Our experts will organize every detail for you and give you all the information you need. Before you go gallivanting off on one of our amazing cruise journeys, please show your interest by sending us an enquiry or calling 1-888-215-3555. Learn more about Rainforest Cruises ecotourism on our conservation page.